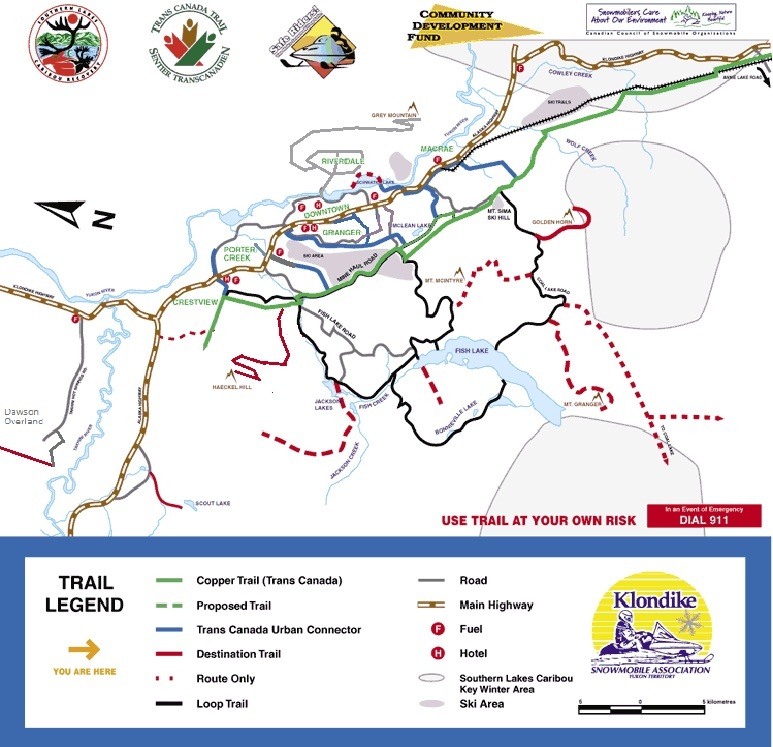 The Klondike Snowmobile Association and the City of Whitehorse have entered many of the Whitehorse area multi-use trails into Polaris Ride Command, and we are working to add more trails soon. Polaris Ride Command is an app program that can be used on your home computer or on your mobile device, and includes detailed maps that can be customized to suit your needs for snowmobiling as well as other outdoor activities. Maps are accessed through internet and can be used either online when internet access is available or downloaded and saved to your device for later use in areas without internet service. Ride Command also has many additional features including trail condition viewing and reporting, ride tracking and sharing, vehicle maintenance tracking, and more. Some features require an account to use however it is easy and free to set one up. We encourage all of our members to check it out… https://ridecommand.polaris.com . Some of our older paper maps are still available, and professionally printed colour copies are free with your K.S.A. membership. Please contact us if you would like one.